Hubbell-Wiring Spider® II Input/output factory terminated temporary power cable set has PVC jacket for improved performance. 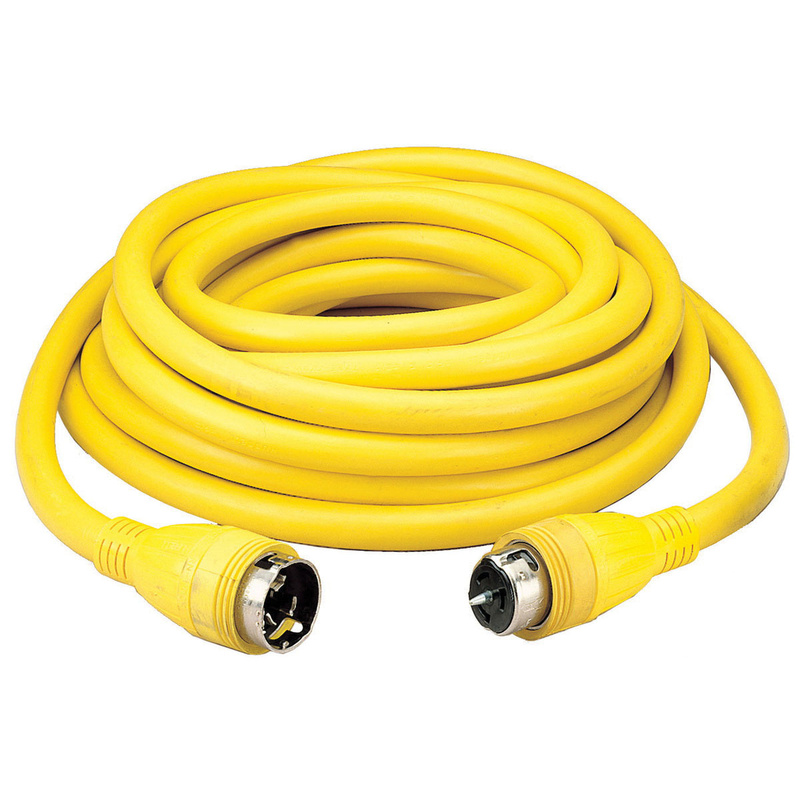 This 50-ft, copper cable in yellow color, has a voltage rating of 125/250-Volts AC and current rating of 50-Amps. It is ideal for use in damp locations and temporary power distribution systems. The power cable meets UL 1640 cUL and CSA, UL 943, NEC and ANSI/NFPA 70 standards.